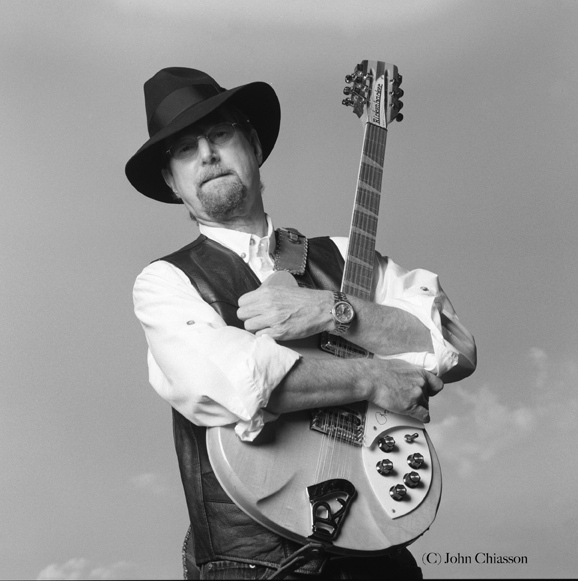 Roger McGuin is best known for being the lead singer and lead guitarist on the Byrds’ records such as Mr Tambourine Man and Eight Miles High. He is a member of the Rock and Roll Hall of Fame for his work with The Byrds, but like many other good journeyman musicians, he is touring solo in his later years and Brighton’s St Georges Church has the pleasure of his company this autumn on 5th November. The unique innovative 12-string electric guitar sound he employed with the Byrds is instantly recognisable as soon as one hears it. It’s based on finger picking the instrument banjo style with a little electronic wizardry added. Later he also developed a guitar sound based on John Coltrane’s saxophone jazz style which influenced many other psychedelic rock songs. These were the sounds I grew up with in the late 60s and early 70s, and looking back it’s interesting to see how some bands evolved and morphed into incredibly successful outfits. For example, Dave Crosby, a fellow Byrd back then with Roger, teamed up with Stephen Stills from Buffalo Springfield and Graham Nash from the Hollies to form one of the most successful ‘supergroups’ ever, Crosby, Stills and Nash, who were later joined by Neil Young, also spawned from Buffalo Springfield. It will be a privilege to see this rare UK performance from someone who, without any shadow of doubt, can be considered a true music icon. Visit www.zazamusic.co.uk for full information about this and the other incredible gigs they have lined up through this autumn.